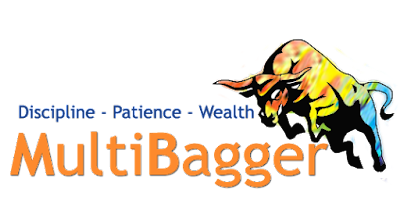 Multibagger may be defined as stocks which multiplies its values in terms of its purchase price i.e. the net worth is increased by a number of times by its original value. Five things you should consider in the process of identifying a multibagger. Debt of the company: Check the debt of the company with respect to equity and whether the same is increasing or decreasing. Also is the company able to leverage its Debt and Equity or not? Look for trend in Sales: Increase in revenue or sales are a good sign of company’s performance and also tell about the strong hold which the company has on the market. See what are the major contributors of companies earnings, Has the company diversified enough or it is relying on one single area for growth. EPS and price multiples do provide a picture on how the company is being valued compared to its peers. Have a close look at the changes which happen in the company related to management along with the Capex plans as it would provide an overall picture of what the company thinks in near term.